I had an interesting experience recently, where I started the week full of energy. This is such a rarity I celebrated the way I usually do in these situations. I wrote myself a to-do list. Now this list filled an A4 page, but in my head I saw it as a to-do list for Monday. Inevitably, life intervened and that list did not get finished on Monday, or Tuesday, or Wednesday, or even by Friday. But I found, when I got to the end of the week that list was 2/3 complete. And by the end of the next week I had completed everything on that list. And it made me realise that it is not so much about the list itself, but the time frame I had placed upon myself to get it done. At the end of that first Monday I could have screwed up the list, and called the day a failure. And let’s be honest, most days I would have done that. I love my lists, and more than anything I love ticking off items on a list. But for some reason, this time, I just left that list on the bench, and slowly ticked things off over the course of two weeks. I gave myself grace, I gave myself space, I loosened the expectations on myself. Is there anything in your life that you are being too hard on yourself about? Are you expecting to have formed a new habit, or got rid of an old one in a certain time frame? Did it not happen by the time you expected and you’ve screwed up the goal and thrown it away? Maybe you are feeling discouraged, but if you look back, you may actually find you are 1/2 or 2/3 of the way there. Maybe it is taking longer than you thought but the point is that you are still on the path of progress. Maybe you just need to adjust your expectation of when something will get done, while not giving up on the expectation that it will get done. As for me, apart from the (obvious) realisation that I can’t achieve everything on an A4 page to-do list in one day. I am learning to adjust my measuring tape and I’m learning to celebrate the path of progress as well as the finished product. 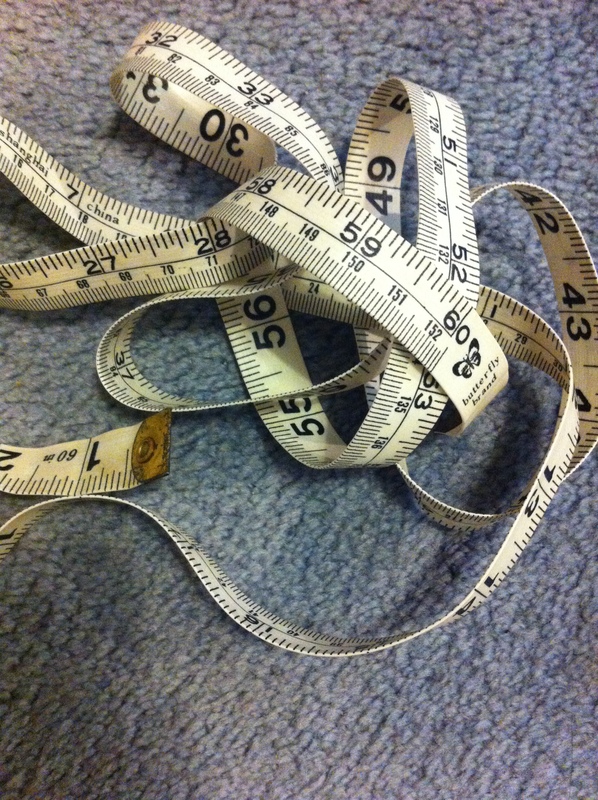 What a great concept … reframe the way you take your measurements! Thanks, Jodie!